Ron Boutilier is less than a mile from the Happiest Place on Earth and someone is trying to choke him out. While that sounds like a nightmare to most, it was a dream scenario for the Lacey native, and the result from years of hard work. Unlike the vast majority of people visiting Anaheim, California, Boutilier’s recent trip to Orange County did not include a stopover in Disneyland. Instead Boutilier, who is a member of the Olympia-based Hammerhead Mixed Martial Arts, got something equally, if not more thrilling, than a plunge down Splash Mountain or a spin on Mr. Toad’s Wild Ride. He became a world champion. Competing in the Male Blue Master 1 heavyweight division, Boutilier took home the gold medal at the 2018 International Brazilian Jiu-Jitsu Federation (IBJJF) World No-Gi Championships at the Anaheim Convention Center December 14-16. 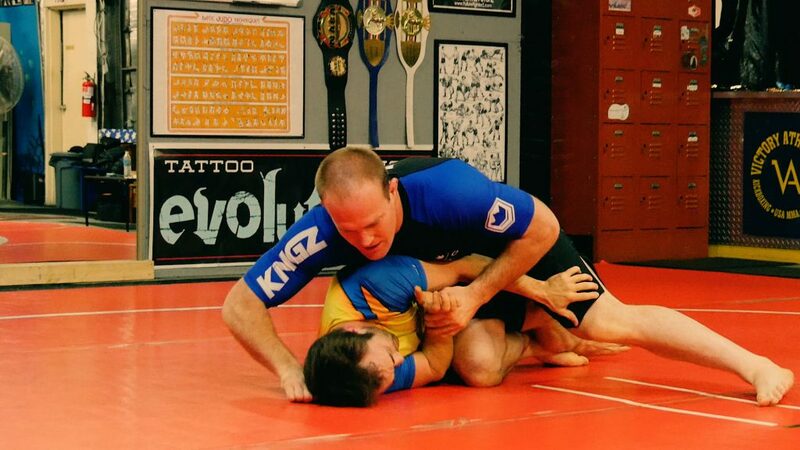 Boutilier, who started training in No-Gi Jiu Jitsu, which is a submission style of wrestling, in 2008 and later began studying traditional Brazilian Jiu Jitsu in 2014, claimed both his semifinal and finals matches with 2-0 victories, winning each match with a single takedown to capture the world championship. 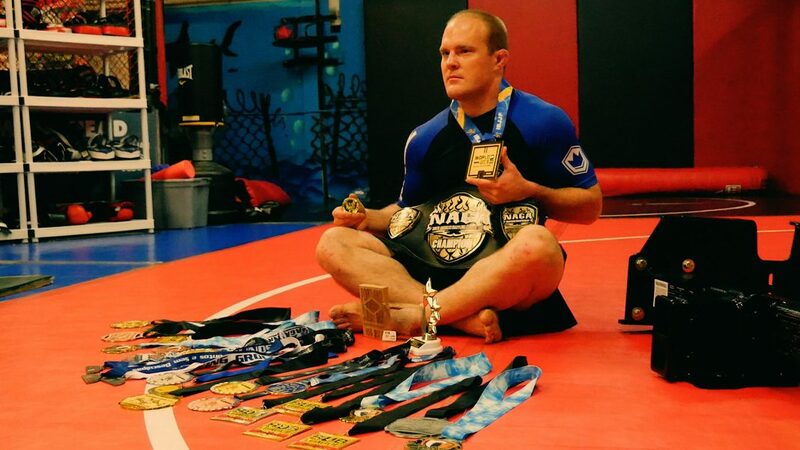 Boutiler has competed in 41 tournaments, earning such titles as NAGA Washington State Expert champion, Lockflow Absolute champion, St. Croix Valley Absolute division champion, and Grappling Industries Washington State Absolute champion, but names his gold medal at the IBJJF world championships his biggest highlight so far. He began training under Guel at Hammerhead MMA a little less than one year ago. The gym, which opened in 2015, offers training and professional instruction in Brazilian Jiu Jitsu, Judo, and Muay Thai, among other styles. Boutilier also named Hammerhead MMA coaches Ryan Johns and Domenic Curulla for helping him prepare for the world championships. 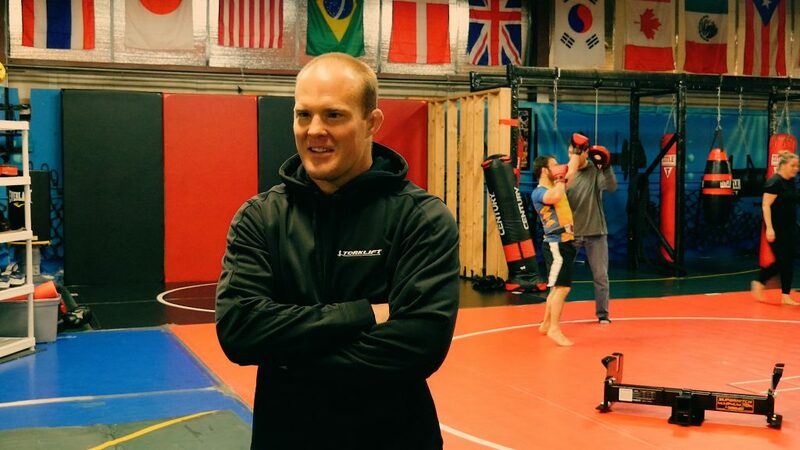 For the last several months, Boutilier’s training schedule has been quite a grid both on the mat and in his car as he has logged countless miles up and down the I-5 corridor in his pursuit to improve his craft. He trains Monday through Thursday at Hammerhead MMA. Friday mornings he trains at the Renzo Gracie Academy before training at 10th Planet BJJ Friday evenings. Both gyms are located in Portland, Oregon. Things get equally busy for him on the weekends. Saturday mornings he is in Seattle at Marcelo Alonso BJJ, while Sunday afternoons he is practicing at Pinnacle Martial Arts in Puyallup. Boutilier does all of this while maintaining a demanding day job. He has a master’s degree in structural engineering from the University of Washington and works for the Washington State Department of Transportation in Tumwater as a bridge engineer. A mathematician and now a world champion.